We’re about to go into K-12, and it’s our job to do Native history justice and that really meant starting by educating ourselves. “Understanding Tribal Perspectives,” first piloted in 2017, is now taken by all students in the UW’s K-12 teacher education programs to prepare to use the “Since Time Immemorial: Tribal Sovereignty In Washington State” curriculum as well as tribal-specific curriculum and resources in their own future classrooms. As part of the course, teacher candidates also visited local tribal schools and schools where cultural pedagogy, traditions, history and other teaching tools are shared across content areas. 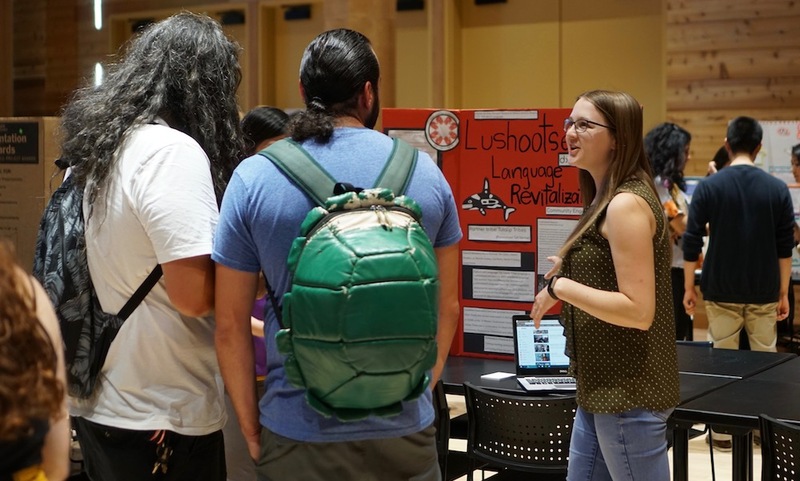 For their culminating projects, the candidates explored everything from lesson outlines for implementing the cultural curriculum to delving into personal questions about tribal sovereignty and history to tribal locations and their specific resources. The candidates all displayed their approximately 150 projects science-fair style with posters, display boards and class activity demonstrations. Lisa Giamberso and Zainab Ashraf, elementary teacher candidates with backgrounds as paraeducators, focused on the Snoqualmie tribe for their project, specifically looking at economic development issues. Giamberso said the course and culminating project provided an opportunity to reflect on how to take up issues of colonialism and Native culture, history and contemporary issues in the classroom. “It’s really impactful, especially for elementary students because that’s when the unlearning and the relearning really starts,” Giamberso said. UW teacher candidates were asked to not simply include tribal-specific materials as relevant to their grades but to locate information in a specific tribal nation, connect it to contemporary issues and develop a community engagement plan for engaging Native families and communities in culturally respectful ways. Giamberso and Ashraf shared how they plan to approach the topic in their classrooms. Giamberso, in addition to being encouraged to critically analyze sources of information, said she’d position herself as a learner to her students. “Since Time Immemorial” was developed following the Washington legislature’s passage of a 2015 bill that required tribal sovereignty curriculum be incorporated in all schools in Washington. 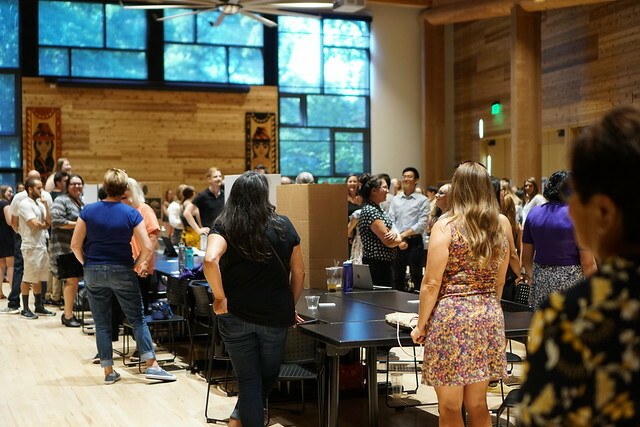 While “Understanding Tribal Perspectives” is focused on preparing future educators, the UW’s Native Education Certificate Program was launched in 2016 to support veteran educators in efforts to improve educational outcomes among Native learners. Practicing educators in the first Native Education Certificate Program cohort also attended the Aug. 10 event to share what they had learned. Alice Ryan, a science teacher in La Push who just completed the two-year certificate program, spoke to the changes in thinking that she experienced. “You have to really examine your own biases—things you know, things you don’t know, things you thought you knew—and try to not only see from another point of view but really try to step out of yourself and try to see from lots of points of view,” Ryan said. She also shared the importance of immersion in Native culture as much as possible, going out of comfort zones, speaking with community members, and building rapport. “Find out what people want,” she said. “Then you try to build in how you’re going to, on a regular basis, bring that cultural knowledge and that understanding and that acceptance into the classroom."